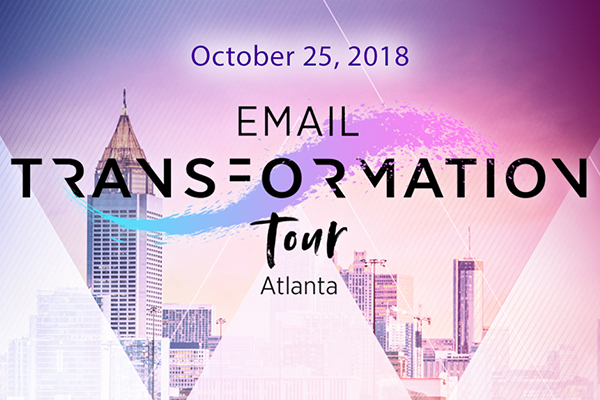 The Movable Ink Email Transformation Tour is hitting 22 cities this year and, on October 25, they’ll be setting up in our hometown of Atlanta for an evening of CX-enhancing presentations and advice. 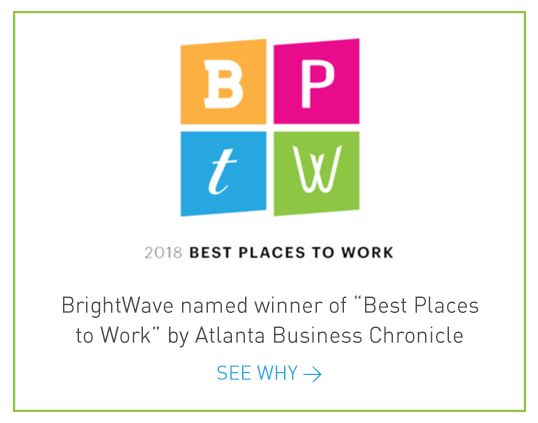 During the Atlanta stop, there will be two featured speakers: Charma Parker from the Atlanta Hawks and our own Vice President, Creative Director Laura Sullivan. During her half of this short but impactful event, Laura will tackle the ever-important topic of relevance in the inbox. In her presentation, entitled “How Synovus Creates the Hyper-Relevant Emails of the Future (with Help from Movable Ink),” Sullivan will reveal how BrightWave incorporates features such as live maps and image personalization to build hyper-relevant emails for our financial client Synovus. This free event will take place from 4 to 7 p.m. at the Atlanta Botanical Garden’s Day Hall and Lanier Terrace in Midtown. Want to make hyper-relevant emails, too? RSVP now at the Email Transformation Tour website.